Today we were hosted by Abercrombie & Kent for a lovely lunch at Season 52 to hear whats new and exciting in Southeast Asia. 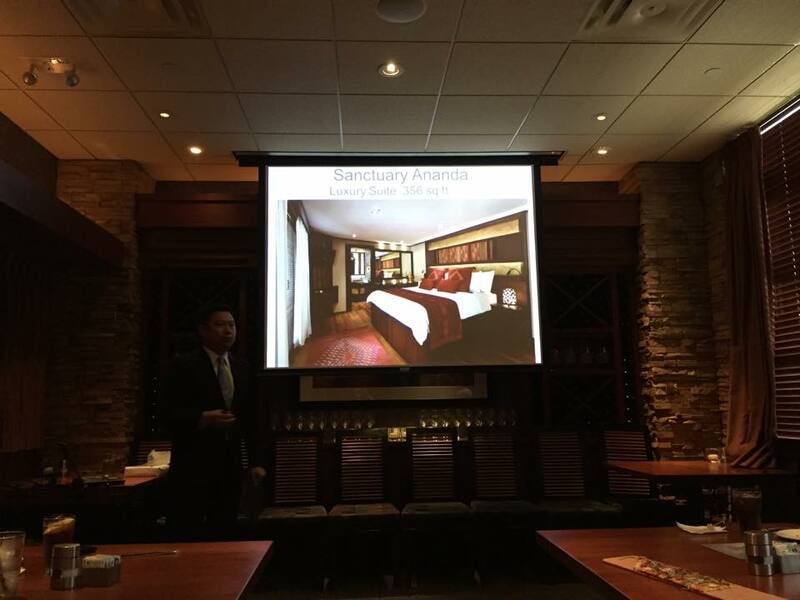 Derek Ong did a fabulous presentation on some great new products and new itineraries they have going in 2014 and 2015. A&K has a new river boat the Sanctuary Ananda which cruises the Irrawaddy and is set to launch November 15. They are already sold out for the rest of this year. Myanmar has become extremely popular and their small group journey is incredible. This particular itinerary is extremely authentic and for the adventurous traveler. If you have been to Burma you probably have done the Balloons over Began but have you done hot air balloons in Inle Lake or Mandalay? This is something I can arrange for you! For those seeking something extremely over the top luxurious A&K has come out with a Best of the Best Southeast Asia Luxury Private Jet trip! This trip comes with a nice price tag but well worth it. All the accommodations are what you expect in a trip like this combining Four Seasons and Aman properties. For those looking for an over the top honeymoon spot look no further than Trisara in Phuket.